The Billings family settled on the shores of the Rideau River in 1812 and took an active role in shaping the community as it evolved over time and until the 1970s when they left the estate. 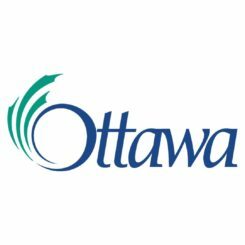 This National Historic Site on 8 acres of green space is also home to one of Ottawa’s oldest community cemeteries where well-known Ottawa pioneers, such as the Evans, Brouse and Firth families, are laid to rest. The ByWard Market is where Ottawa was born. 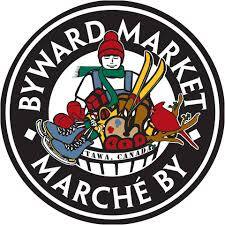 Established by Lt-Col. John By in 1826, the ByWard Market is one of Canada’s oldest and largest public markets. The legendary builder of the Rideau Canal; Lt-Col. By himself laid out the street plan of the Market, designating George and York Streets to be extra wide to accommodate the horse-drawn carriages that brought foodstuffs to the market every day. The ByWard Market is Ottawa’s number one tourist attraction, and is the premier destination for shopping, dining, arts, entertainment and professional services for residents and visitors. This area averages 50,000 visitors per weekend in the summer months. It is home to both a local farmers’ market and artisans, as well as over 600 independent businesses. Play in the past and make memories for the future at your City of Ottawa’s local museums and historic sites. Enjoy a wide array of themed events, hands-on activities and interactive exhibits. Unique in the nation’s capital, Cumberland Heritage Village Museum provides an immersive, fun, and educational experience that showcases life in the 1920s and 30s with dozens of heritage and true-to-the-era reproduction buildings – including a working sawmill and blacksmith shop– heritage breed farm animals, people in costume, vintage tractor-pulled wagon rides, and so much more. The Diefenbunker is a four-story, 100,000 square foot underground bunker, built between 1959 and 1961. The mandate of the Diefenbunker is to increase public interest in and a critical understanding of the Cold War, by preserving the Diefenbunker as a national historic site, and operating a Cold War Museum. 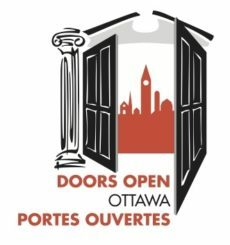 The City of Ottawa is proud to present Doors Open Ottawa, a free annual architectural event that celebrates our community’s built heritage at the beginning of June. Come visit the museum, explore the grounds and chat with knowledgeable guides. Imagine yourself in the past as you try on our dress-up costumes and play some old-fashioned games. With guided tours, as well as programs and events for families, Fairfields Heritage House remains a hub of community activity. Haunted Walks walking tours present the city the way it was meant to be seen – up close and on foot. None of our stories are exaggerated and several years of research have gone into each tour. Our tours and stories are second to none!